[Satnews] Following the successful satellite distribution of a string of high-profile news and sporting events using NovelSat NS3, Globecast has decided to use NovelSat spectral efficiency software for global satellite video distribution of some of the major events that it covers. Globecast distributes SD, HD and 4K video from the most watched live news and sporting events and will now be adding NovelSat satellite transmission solutions to its existing capabilities. Globecast is a provider of media management, distribution, monetization and contribution solutions for broadcasters. Using NovelSat NS3-based NS1000 and NS2000 Satellite Modulators and Demodulators, Globecast can consistently deliver more video services using less satellite bandwidth, creating greater efficiency. NovelSat NS3 technology has been proven to utilize satellite spectrum far more efficiently than DVB-S and DVB-S2 standards. NovelSat NS3 increases data rates by more than 30 percent compared with many existing modulators, demodulators and modems. The advantage of this next generation technology goes far beyond capacity savings. In extreme conditions, NovelSat NS3 boosts network reliability and availability more effectively and efficiently handles channel impairments including phase noise, non-linearity, jamming and interference. As display quality continues to improve, with growing demand for 4K and UHDTV, viewers of premiere sporting events are increasingly expecting exponentially higher definition content. 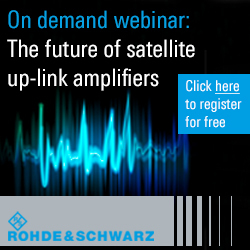 This new demand could quadruple current bandwidth requirements, further increasing the necessity of technologies such as NovelSat NS3 to help control costs by optimizing the efficiency of costly satellite bandwidth. NovelSat management will be SATCON 2015 in New York City, November 11-12 in the Israel Pavillion.